Back in the days of Black and White Television (That would be late 70s in India) the State run TV channel Doordarshan would telecast some very funny 'foreign' programs. 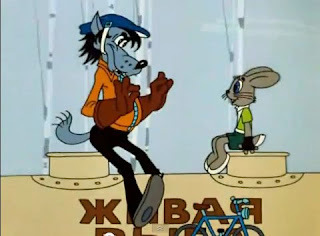 It included Around the World in Eighty Days, Charlie Chaplin and among other such things, a very funny Russian cartoon, where a Wolf would perpetually try to catch a Rabbit. And there would be this catch phrase that symbolizes the pursuit of the wolf..Just You wait! 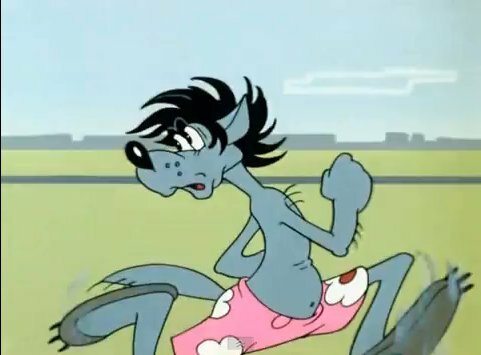 Thanks to the Omniscient Net, I figured it was the program called Nu Pogodi in Russian, this was a very popular cartoon made in Russia during late 60s, 70s. I was surprised to know they were in full color glory. There were 20 episodes made in all, majority of them in the seventies, and then episodes continued to be made at irregular intervals up until 2006! One particular episode the, 3rd in the series, "Road" May 29, 1971, was repeatedly broadcast, that I could remember every single movement in the episode. 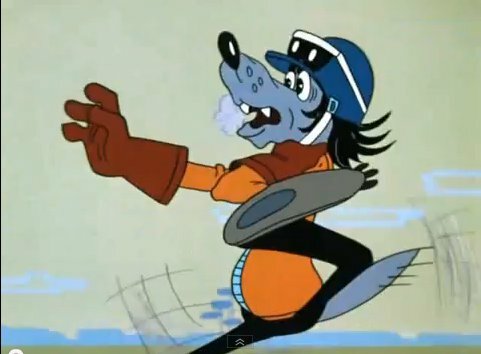 I used to wonder as a kid, how all the various details were taken care of, all by drawing, one frame at a time. 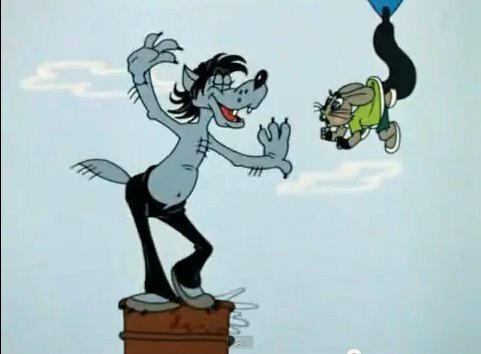 Its almost like yesterday that I was watching this scene where the rabbit appears almost caught, and the wolf stands precariously on a pile of drums. 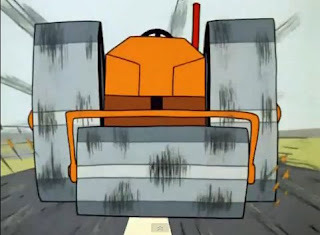 It was this particular shot of the road roller monstrously running towards the camera, and how the action lines made it appear it to move so dynamically, that drew me into the magic of animation. I cannot believe I am looking at this after nearly 35 years, and it appears as if it happened moments ago. And finally the wolf running .... "Just You Wait". OMG! 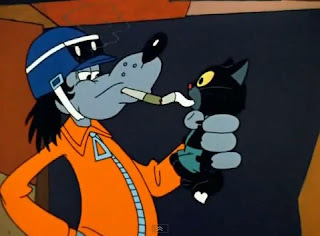 I grew up with this cartoon! 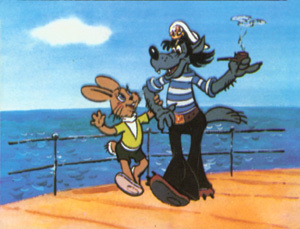 It is the best cartoon in the world! Beats Tom and Jerry any day! How funny that you came across it and posted about it - made my day! Thank you! Absolutely agree. I was searching for it for quite sometime and accidentally stumbled upon it. Was pleasantly surprised just like you.